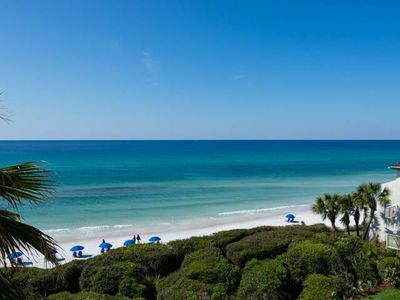 Happy Our is located in the highly sought after Gulf Place Beach Community in the heart of The Beaches of South Walton. 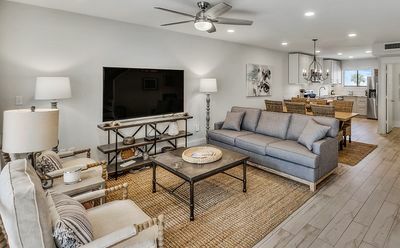 Known for it's three pools (two heated), hot tub, tennis courts and outdoor amphitheater, the Gulf Place Community can fullfill all of your vacation needs. 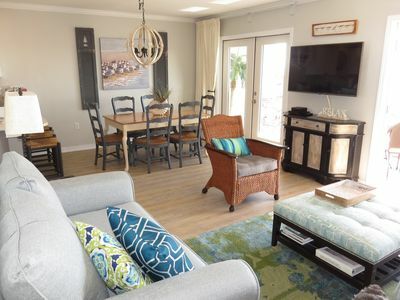 We also have shopping, a multitude of dining choices, a local artist kiosk area, a day spa, pharmacy, beach bar, an upscale wine bar, and an ice cream shop right on the property. 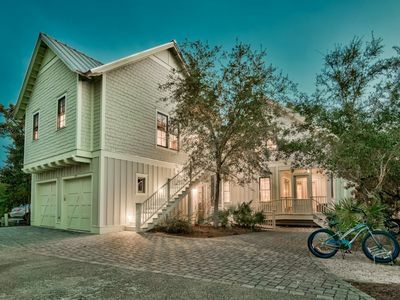 A biking and walking trail winds through the property in addition to a 19 mile biking trail along 30A with bike rental shops nearby. 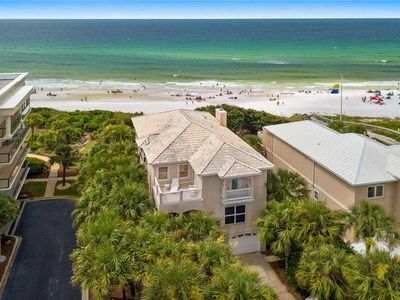 Gulf Place has three private entrances to the beach and the beach along this stretch of 30-A is known for the lovely surf and sugar white sand. You can sun, rest under an umbrella, or stroll the beach. Just enjoy! 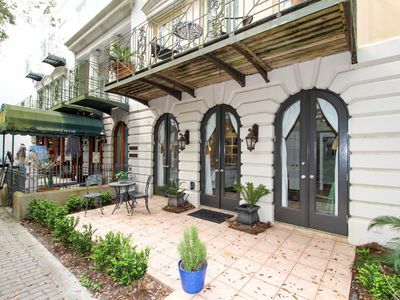 This community is loved by the locals and a favorite year after year for the vacationing family. 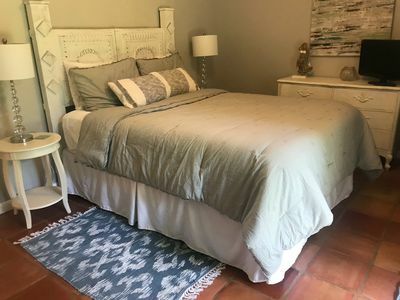 The Happy Our is a one bedroom, 1 1/2 bath that is perfect for a romantic getaway or the two bunk beds make it a great condo for the small family vacation. The condo recently went through a complete remodel with new tile in the bath and kitchen floor and backsplash. New wood floors recently added (as well as a new air conditioner and water heater) and a brand new mattress make this condo very comfortable and cozy. 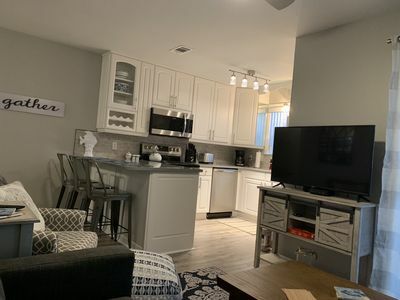 There is new paint, cabinets, ceiling, crown molding and all of these updates makes the Happy Our perfect for your vacation needs. The Happy Our is light and bright and you will definitely know you are at the beach. breezy and fresh with a shell theme with accents of blue and green. The 1/2 bath also opens to the hallway. 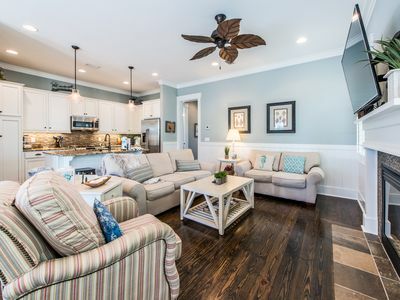 The family room gives great space with a large L shaped sofa which is great for relaxing while watching a DVD on the new large flat-screen LED TV or just taking an afternoon nap. The extra-large L shaped sofa provides space for the whole family or great for cuddling on a couple getaway .If you like games, our large coffee table is perfect for playing...and we even provide popular games. 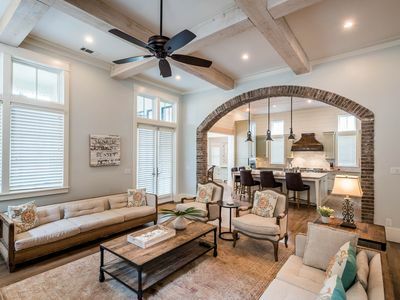 The family room offers double French doors leading onto the covered balcony. This space has a gulf view and is wonderful no matter what the weather. The balcony is private and offers comfortable chairs and table for relaxing and listening to the sound of the surf. The kitchen is open and provides a large table height bar that seats four. We provide all small appliances, cookware, flatware and new dishes to make your stay easy. 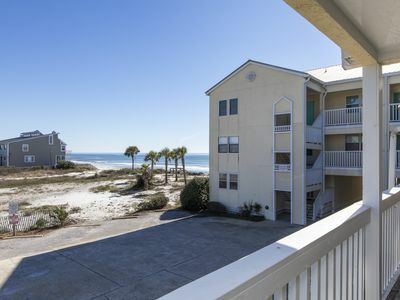 We make sure you have the comforts of home only with a gulf view!! We provide beach towels, toys, 4 chairs, and two umbrellas to keep your travel light. And, the Happy Our has a large stackable washer and dryer so those wet suits and towels are an easy clean up. 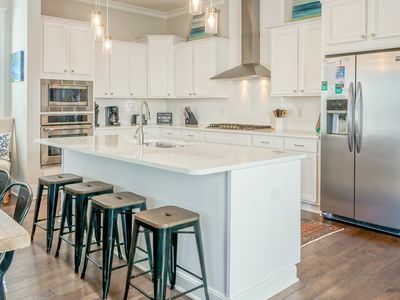 We are just minutes to shopping at the famous Silver Sands Outlet Mall, local beach stores, and only a few miles to upscale shopping of Destin Commons and the Shops of San Destin and Grand Blvd. You will be just a short drive from Baytown Wharf which host shopping, dining, outdoor movies, concerts, and special events. Mini golf, go carts, amusement park, and a water park are just a short drive for the kids and kids at heart. 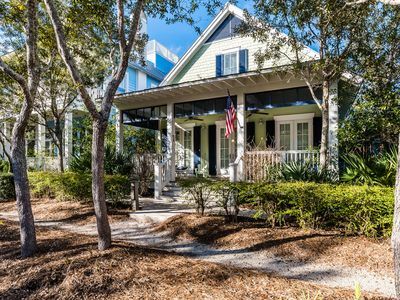 The Happy Our is also conveniently located to the famous Seaside, Watercolor and Seagrove Communities. 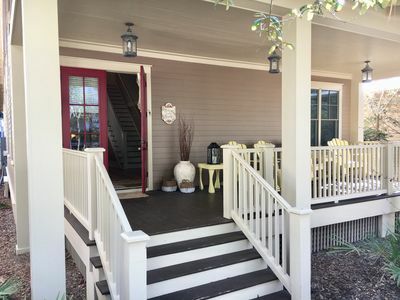 They all have unique beachside dining, shopping, and a lovely Old Florida feel. For the golfer, this is your vacation destination. 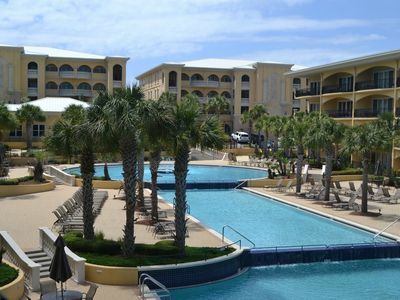 Santa Rosa Beach and Golf Club is less than 1/4 mile and offers a great course with lovely beach front dining. Other courses include: Seascape Resort which has 13 water hazards that pose a challenge for any golfer. Regatta Bay is an 18 hole course and is known for its meticulously maintained grounds and pristine lakes and views. This is only a few of the 25+ courses in this area. If fishing is your game, you are about to visit 'the world's luckiest fishing village'. Whether you select a private charter or group fishing boat, you will come home happy. Many of the boats have mates aboard that will help you with your fishing and clean the catch at the end of the trip. The area is known for blue marlin, cobia, and red snapper. Speckled trout and flounder are caught on the bayside. King mackerel, redfish, and Spanish mackerel are always in the area. If the boat is not your preference, just grab your spinning real and fish off the beach. Pompano is caught along the shoreline in South Walton. For the deep sea fisherman looking for a trophy fish, go out about 60 miles and marlin both blue and white, are waiting to go home with you. We provide literature in the Happy Our of all the local attractions and telephone numbers for your convenience. As you can see, this is a condo and a community to remember. So, if the beach has been calling you… book your HAPPY OUR reservation today. We promise you a vacation to remember!! Free Bikes, Wi-Fi, & Netflix. 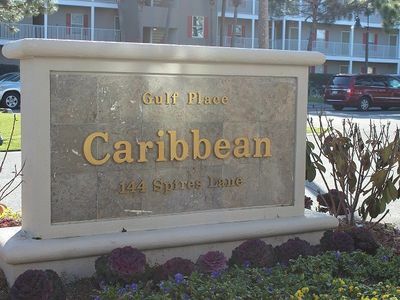 In units closest to beach! 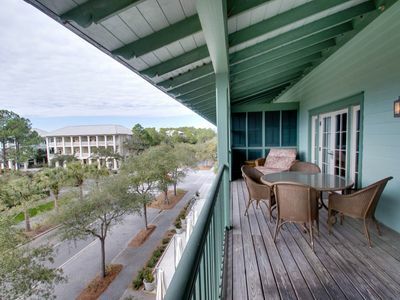 Redfish Village #427 - Beautifully furnished and great views! You deserve it! 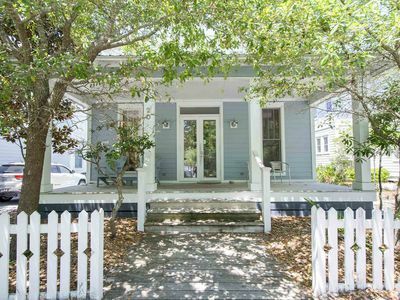 First floor adorable condo only steps to the white sands of the beach! 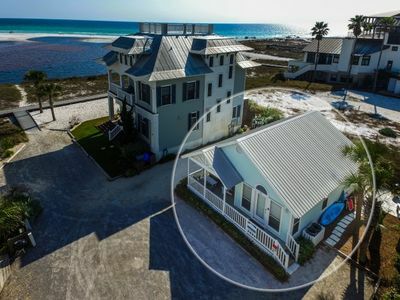 Great Home in Seagrove Beach! Executive Access Home! Lake District! Park Views! 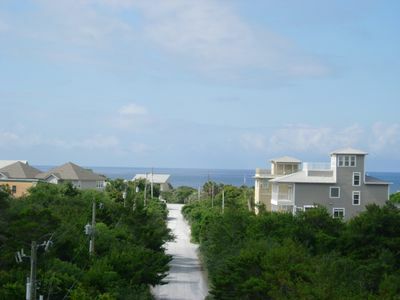 Happy Talk - Gulf Front, Seagrove, Heated Private Pool, Free Beach Service! 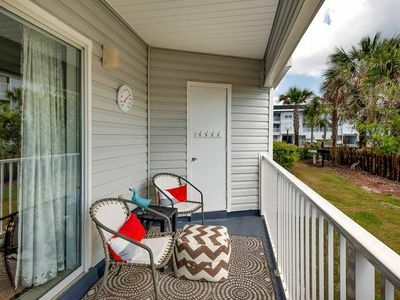 "SEArenity Now"-Highland Parks- Sleeps 12-$220 Beach Gear Credit!